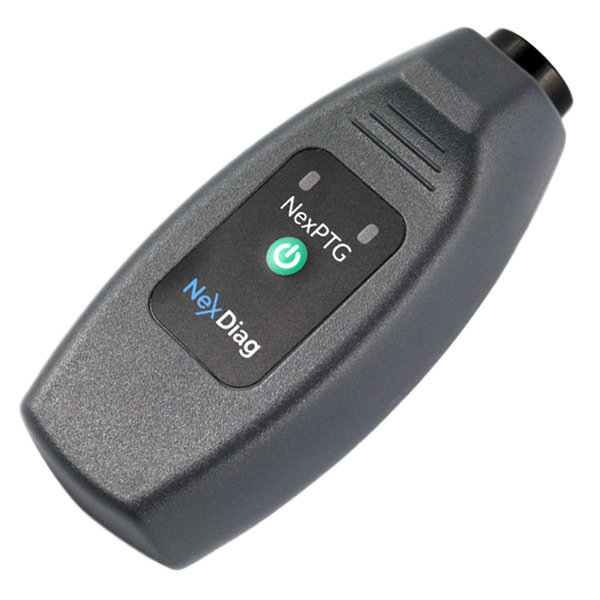 Paint Thickness Gauge NexPTG Standard is a basic model of the meter that allows you to make measurements quickly and accurately. 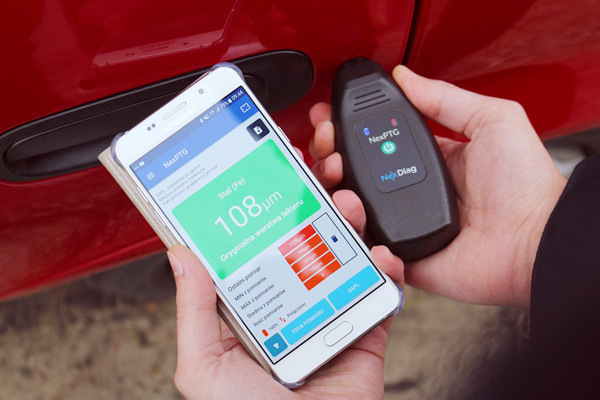 In addition, the meter has a number of additional innovative options that will help the user to examine the vehicle more easily and efficiently. 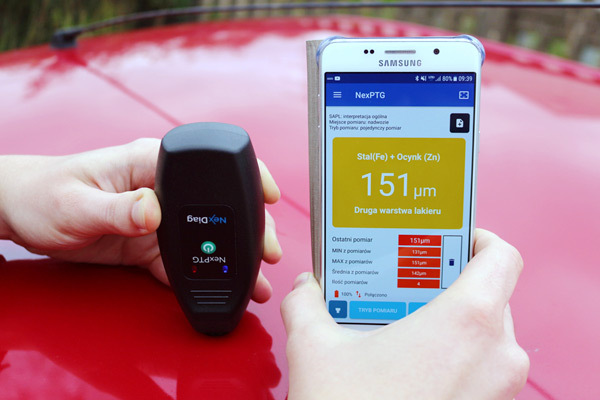 Thanks to the connection with the phone it gives huge possibilities unattainable for traditional meters. 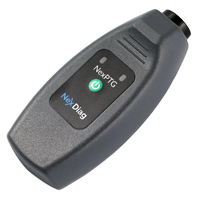 The Standard version makes it possible to effectively test the thickness of the varnish coat. The meter automatically interprets the obtained results, informing the user about the current state of the shell. 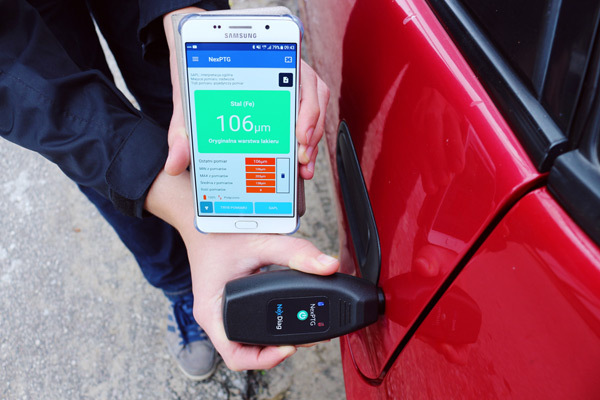 This is the most modern device of its kind on the market. - The analysis of the paint finish "SAPL"
- Export of reports and measurement history to e-mail No.